While each of the tourism regions of Eastern Québec offers a variety of different attractions, they are united by the sea and a common maritime tradition. Together they make up a vast destination where nature reigns supreme and the environment is a source of inspiration. The Gaspésie Tour runs along Route 132 in a loop around the immense Gaspé Peninsula. Start your trip in Bas-Saint-Laurent and enjoy a wide range of scenery, from the lowlands that ring the coast to the majestic mountains overlooking it. This scenic drive gives you the opportunity to discover six national parks with numerous hiking trails and interpretive activities. 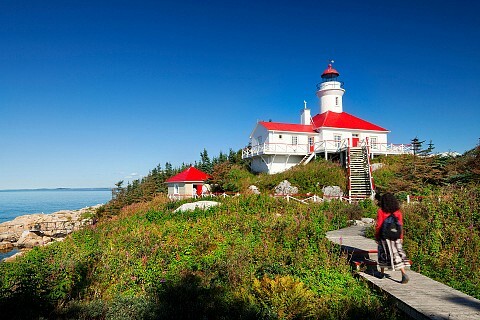 The Gaspésie Tour will also introduce you to the region's many islands, lighthouses, historic sites, museums, wharves bustling with activity, steep cliffs, sandy beaches and pebbled shores where treasures abound. A scenic drive of exceptional beauty! Côte-Nord is vast, wild and spectacular. 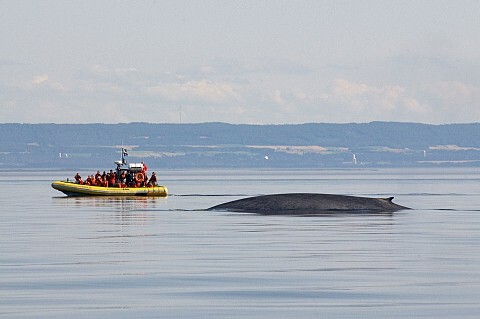 Made up of the tourism regions of Manicouagan and Duplessis, The Whale Route runs along Route 138 on the north shore of the St. Lawrence from Tadoussac to Natashquan, where the road ends. From there you can continue your journey on an authentic supply ship that will take you from village to village along the Lower North Shore and to Anticosti Island. A trip not to be missed! This scenic drive offers access to some of the best sites in the world to observe marine mammals—the opportunities to go out to sea are many. Along the way, you can also discover an impressive fjord, four national parks, mysterious archipelagos, lighthouses standing guard along the coast and sites that recount the history of builders whose dreams were as big as the land around them. 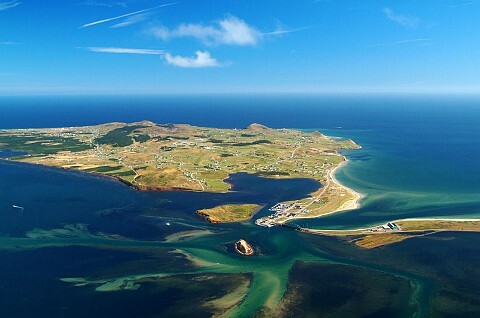 Located in the middle of the Gulf of St. Lawrence, the Îles de la Madeleine are an archipelago made up of a dozen islands, six of which are linked by a narrow stretch of dunes. To get there, you have to fly or go by boat. The fun begins even before you set foot on the Islands when you opt for a cruise departing from Montréal or Chandler (Gaspésie), or take the ferry from Souris, Prince Edward Island! The road linking the islands stretches for 65 kilometres (40 miles). The region is easily explored during a series of day trips from your lodging site. Gourmet dining, wind sports, sea excursions, art tours, swimming and hiking will fill your days and provide unforgettable memories!